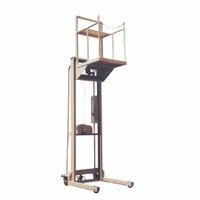 We are recognized as a trustworthy Order Picker Manufacturer, Exporter and Supplier in Tamil Nadu. 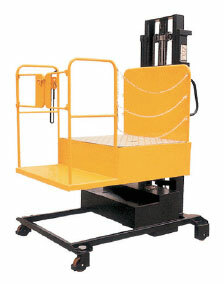 We provide a wide range of Order Picker such as Semi Electric Order Picker and Manual Order Picker. All these Order Pickers are engineered at our state-of-the-art manufacturing unit by the experts. 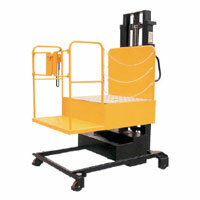 These Order Pickers offer smoothness in working efficiency and reduce the time on transferring goods.